The theme of this year was the development of design visions for the long-term future of Milton, in response to the well documented Scottish housing shortage and the housing strategies and ambitions of Glasgow City Council and GHA. Through the year, students were asked to consider Milton in its wide context and then focus on an area of special interest, and to develop masterplans and detailed design propositions for it. Whilst students will work towards 25-30 years visions and prepare detailed illustrations for each of them, they will also be required to envision how such complex transformation with take placed in a phased and responsive manner, 3taking into account the view and ambitions of a strong local community, and thus imaging as well the process through which these visions will take shape. Taking part to this course are students from the PgDipl/MSc in urban design and students from the Advanced Architectural Design course. 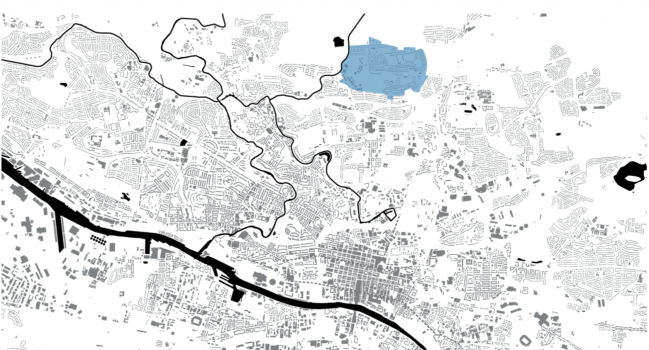 Students work together mixing and sharing their reciprocal expertise – urban design is multidisciplinary. The approach to masterplanning we teach, which we call ‘masterplanning for change’, deals with strategic and detailed scales at the same time, is evidence based and uses as unit of development the relationship between street hierarchy, urban nodes of different importance, housing density, green networks and street fronts. New groups are formed to contain one member of each previous groups. This ensures that all the information gathered in the understanding of Milton can be succesfully condensed into strategic plans for the improvement of the area, envisaging actions and projects that deal with services, mobility, housing, and public realm provision.